This year marks 160 years for the Shipowners’ Club. The Club has come a long way since 1855. We started life with 221 ships at 58,228 GRT; this figure has grown substantially over the last 160 years to 32,008 vessels at 23,579,295 GT. 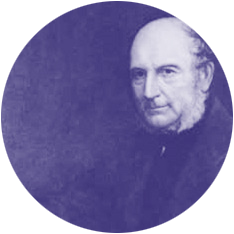 As we have grown, we have held on to the values of John Bagwell Holman, the founder of the Shipowners’ Protection Association: sharing of risks, a claims-friendly approach in support of the membership, insurance at cost and, at all times, operating as a mutual insurer controlled by the Members. Take a walk through our history, using the navigation below, to explore first-hand evidence of the commitment we have to our membership: from our beginnings in a garden building of Grove House, the home of our founder John Bagwell Holman, to our current presence across the globe with offices in London, Singapore and Hong Kong. The early history of The Shipowners’ P&I Club is bound up in the history of its creators, the Holman family of Topsham, Devon, who were resident in the town for many generations from the mid 17th century. John Bagwell Holman established The Shipowners’ Protection Association, insuring third party liabilities, under the management of John Holman & Sons, comprising John Holman, Thomas Holman and John Holman the younger. 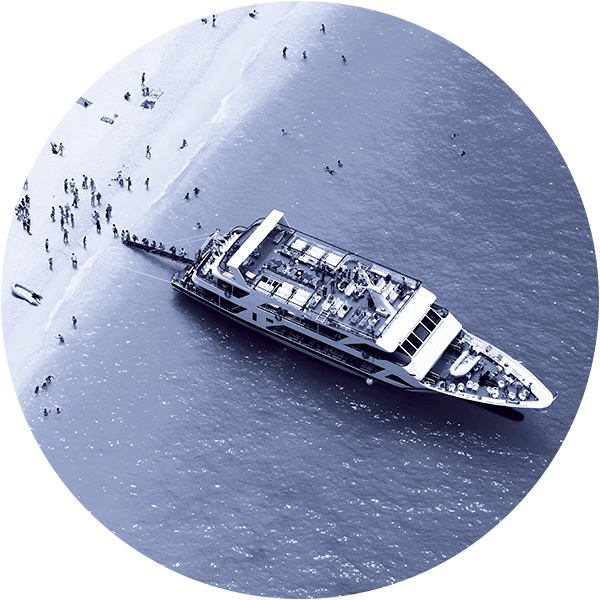 The Association started life with 221 ships and 58,228 GRT. The first Committee of the newly formed Shipowners’ Protection Association was made up entirely of shipowners from England’s West Country. Although the name ‘Holman’ became synonymous with shipping in the early and mid 1800s, the family itself had not been connected with the sea until Thomas (1771–1822) and Richard (1774–1824), two sons of an iron founder, became Master Mariners. Richard earned recognition by resisting the capture of his ship by a French privateer, but it was Thomas who was the father of John Bagwell Holman (1800–1863), the enterprising character who laid the foundations of the shipping and insurance enterprise which, in its way, survives to this day. John Bagwell Holman decided that, like his father, he would follow a maritime career. He went to sea at the age of 12, coming ashore 25 years later as a Master Mariner. Unlike his father, he left the sea not only with a professional title, but also as the proud owner of a number of ships. Ashore, he enlarged his shipping interests both as a shipowner and a shipbuilder, building not only his own vessels but also ships for other local owners. Having achieved success as a sailor, a Master Mariner, a shipowner and a shipbuilder, John Holman turned his attention to the management of his fleet and particularly insurance for his fleet which, at the time, was very expensive, due to the lack of competition. 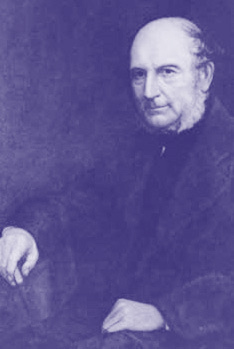 John Holman set up one of the first so-called ‘hull clubs’, West of England Ship Owners’ Mutual Insurance Association, in 1832, to undertake the insurance of hull risks on a non-profit-making basis. Presumably the venture was a success because, in 1838, he formed another club, Exeter Shipping Insurance Association, and the two together were known as ‘The Western Clubs’. The popularity of hull clubs started to decline in the 1840s due to greater competition from Lloyd’s. Indeed some commentators have maintained that the hull clubs had all but disappeared by 1850, but the Western Clubs were clearly in operation some ten years later, as evidenced by a copy of Lloyd’s Register of Shipping carrying the legend ‘Western Clubs Marine Insurance, Topsham’, 1860. While Lloyd’s underwriters were now willing to write hull risks competitively, they were not prepared to cover the emerging risk of third party liabilities of shipowners, which were accumulating at an alarming rate. Two Acts of Parliament were of particular concern. Lord Campbell’s Act of 1846 gave dependants of persons who lost their lives through improper navigation the right to sue the shipowner for damages, and The Harbour, Docks and Piers Clauses Act of 1847 gave harbour authorities the right to recover damage done to installations. Neither of these liabilities was covered by underwriters, nor were they covered by the terms of the hull club policy. And so, true to form, John Bagwell Holman decided to fill the gap with his own creation – The Shipowners’ Protection Association – which he formed in 1855 under the management of John Holman & Sons, comprising John Holman, Thomas Holman and John Holman the younger. In 1866, following a judgment where a shipowner was held liable for the loss of cargo carried on board his vessel, the Association changed its rules to include cover of liabilities for loss and damage to cargo so that the Member could be indemnified for his loss.  In this way, the word ‘indemnity’ was added to the company’s title, and the acronym ‘P&I’ was added to the maritime lexicon. Sail gave way to steam, and as the membership in this category grew, it became obvious that the demands made on the Association by steamship owners were different from those made by owners of traditional craft. Although the shipping community was divided about the long-term viability of steam, John Holman & Sons characteristically decided that the future was in steam and in 1870 decided to launch The West of England Steamship Owners’ Protection & Indemnity Association Ltd. This was another mutual but, as its name suggests, one dedicated entirely to the insurance of third party liabilities for vessels powered by steam. In 1873 John Holman & Sons moved both the Shipowners’ Mutual Protection and Indemnity Association and West of England Ship Owners’ Mutual Insurance Association, together with the management, to Lime Street in the City of London, which was then the hub of world shipping. Communications were primitive at that time and close proximity to brokers, Lloyd’s underwriters and all the paraphernalia of the shipping and insurance markets was crucial to the success of an expanding company. With the outbreak of the 1914–1918 war, many of the Members’ vessels were requisitioned by the Royal Navy and the role of the Club was reduced to a conduit for government instructions to Club Members. Like many organisations of the time, the Club lost many of its staff in the war and rebuilding the expertise of the management was an uphill task made more difficult by the depression following the Wall Street crash of 1929. The recovery was only just beginning when the Second World War started, once again throwing members and Club alike into further disarray. Small coastal vessels like those entered in the Club played an important part in the war effort, some of them taking part in the evacuation of Dunkirk in 1940. During the 1939–1945 war, the day-to-day affairs of the clubs under the management of John Holman & Sons were dealt with by a very small team of people who, by necessity, had to be able to turn their hand to anything to do with P&I. The stalwarts running the Club were, in the main, people who were too old to be called up or who were disabled – often due to service in the 1914–1918 war. One such man was Charlie Hollocks, who joined John Holman & Sons as a boy in 1913, volunteered for the army two years later and saw action in several major battles. In one of the last decisive battles of the war he won the Military Medal for carrying a wounded comrade over a minefield whilst under fire. In the course of this heroic rescue he sustained severe injuries including the loss of sight in one eye. Mr Hollocks took over the running of the Shipowners’ Mutual Protection and Indemnity Association towards the end of the war and was appointed Company Secretary on 9 October 1946, a post he held until his retirement in 1963. At the end of the war, shipping – like the rest of Britain – was in a parlous state, and the huge task of rebuilding both fleets and the infrastructure began once again. John Holman & Sons set about rebuilding their business with the emphasis on the steamship club, which was clearly going to be the area of expansion. Although the membership of the Shipowners’ Mutual Protection and Indemnity Association had depleted, the Club was still a major player in covering small craft including coasters, fishing vessels and even sailing barges, which were still in evidence. Indeed, the Thames Sailing Barge Match in 1953 featured a number of barges entered in the Club which participated as part of the celebrations to mark the Coronation of Queen Elizabeth II. 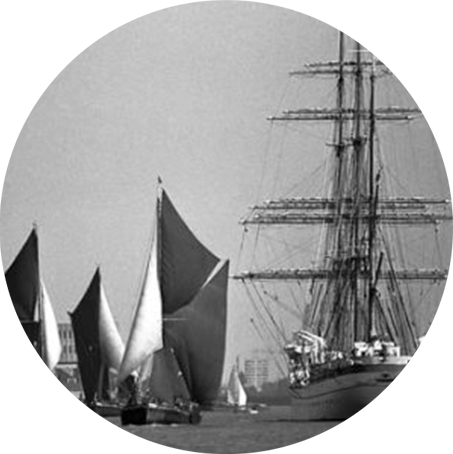 This continued a tradition of sailing barge racing which began in 1863 and has at times featured strong rivalry between fellow members of the Club. The longest continuous entry in the Club was SB ‘Cabby’ from 1928 to 2003. A watercolour painting of her was commissioned in 1988 to mark her 60th anniversary, prints of which hang in many offices around the world. The Club still sponsors the Thames Sailing Barge Match to this day. One hundred years of management of the Club by John Holman & Sons came to an end in 1955 when the Holmans resigned as Managers following a dispute with the Board of the West of England. Although that did not directly involve the Shipowners’ Club, both Clubs were then managed by the staff under the direction of their respective Boards through a General Manager appointed by them. That General Manager was Richard Fort, a retired Lieutenant Colonel who before the war worked briefly for Thomas R. Miller before being commissioned into the Royal North Devon Yeomanry, where he saw action in Northern Italy and was awarded the Military Cross. During the 1950s and early 1960s, the membership of the Club began to stagnate with growth limited to the expansion of existing Members. There was in fact negligible growth in tonnage for several years. At 20 February 1964 there were 272 entered vessels making up 96,866 GRT, but one Member had over a quarter of the entered vessels and over half the entered tonnage. There were two options – either the Club needed to be amalgamated with the West of England; or it needed to be revived and expanded in its own name. In either case it was necessary for the risk to be spread and diversified. 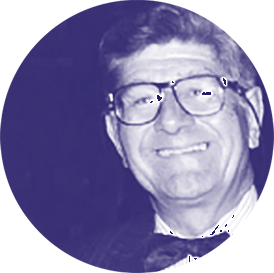 In 1963 Richard Fort appointed Christopher Pritchard-Barrett, who had joined West of England’s Cargo Claims Department in August 1961, as Manager of the Shipowners’ Mutual Protection and Indemnity Association. 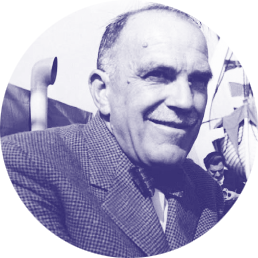 His selection to lead the management of the Club was due, in no small measure, to his colourful background, having previously served as mate on a sailing barge owned by long-standing Members of the Club, Cranfield Brothers of Ipswich, and having sailed across the Atlantic and through Panama in a yacht ending up on the west coast of Canada where his trip culminated in a spell working as a stevedore. Having identified an urgent need to expand the Club’s membership, Christopher Pritchard-Barrett travelled extensively to advertise the benefits of P&I to small and specialist shipowners, many of whom were unaware of the dangers of being without comprehensive P&I cover. Under his enthusiastic leadership, the Shipowners’ international membership grew rapidly. Not all acquisitions were from overseas however, as the Club’s records show that in 1967 the Anglian Mutual Underwriting Association agreed to reinsure all their tonnage with the Shipowners’ Mutual Protection and Indemnity Association. The steady expansion of the Club’s tonnage continued throughout the 1960s, reaching an impressive total of one million tons from 35 different countries in 1970. In 1973 the Inland Craft Class was formed although the Club had in fact been underwriting inland business, operating on the rivers and canals of continental Europe, since 1963. In the 1960s there had developed ‘Special P&I Clauses for Inland Craft’ to recognise the different legal regime under which the inland vessels operated. This business was mainly underwritten on a tariff basis and it was thought appropriate in 1973 that it should be contained in a separate class of the Club to recognise its distinction from the rest of the Club’s business which was underwritten in the so-called Class 1. Inland Craft Class vessels outnumbered the Class 1 vessels at that time. In a move designed to retain voting control in Class 1, which might be frowned upon by today’s regulators, the Club’s Constitution was amended to introduce the Inland Craft Class but restricted the voting rights of Inland Craft Class Members to a single vote per Member rather than a vote per vessel which applied to the Class 1 membership. The day-to-day management of the Inland Craft Class vessels was entrusted to Post & Co in Rotterdam and overseen from London. 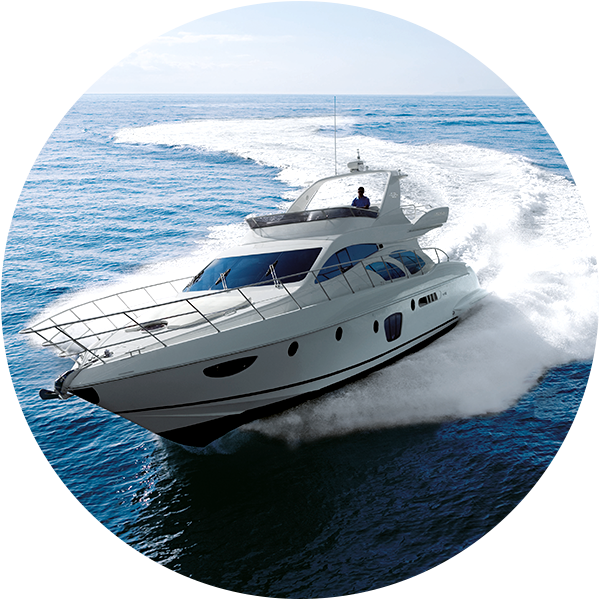 Over the following years the Club established its niche in this unique market with Post & Co developing close contact with the larger owners and specialist inland vessel mutuals as well as many brokers in Holland, Belgium, Germany and France. 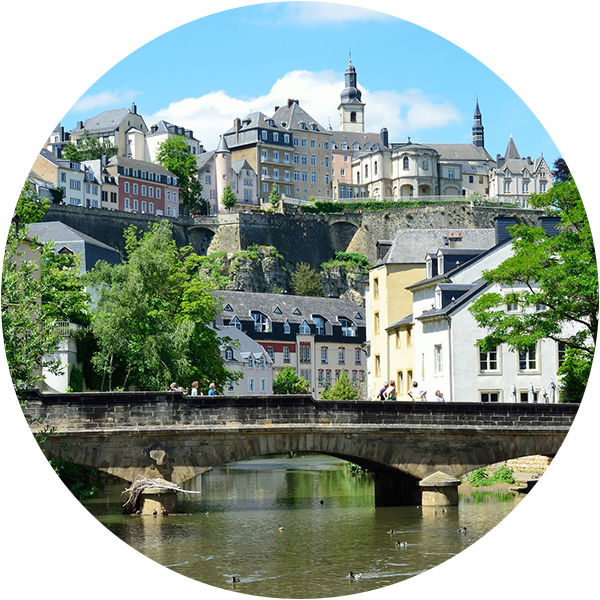 The Shipowners’ Mutual Protection and Indemnity Association (Luxembourg) is incorporated, moving the Club’s domicile to Luxembourg. The 1970s were uncertain times for British companies with an international clientele because taxation rates in the UK were seen as unacceptably high by most observers. Also, exchange control regulations hampered the Club in its dealings involving the settlement of claims outside the UK, especially now that a large proportion of the membership was domiciled abroad. Additionally, there was the constant threat that sterling might devalue, thereby reducing the Club’s assets at a stroke. The Shipowners’ Board of Directors therefore decided to move funds outside the UK and in 1975 a Bermuda subsidiary company was formed pending permission being granted to move the Club’s domicile to Luxembourg while leaving the management in London. The Shipowners’ Mutual Protection and Indemnity Association (Luxembourg) was incorporated on 27 August 1976 and commenced business in Luxembourg on 20 February 1977. 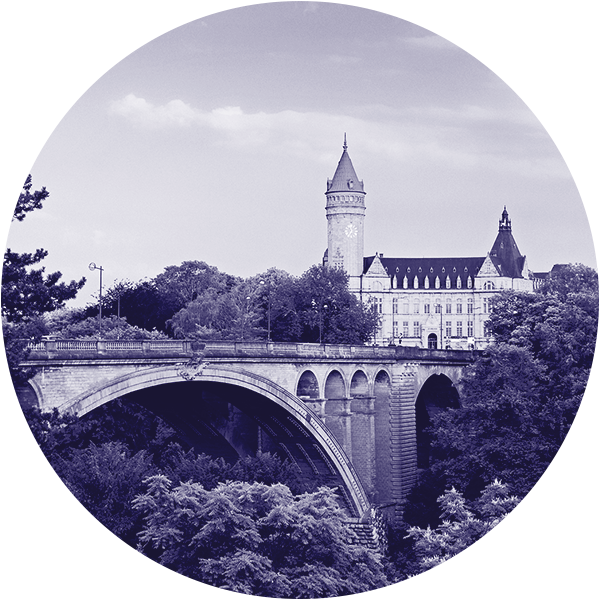 The following year, Spandilux SA, an investment vehicle, was formed in Luxembourg to hold the Club’s investments, it being later changed into a reinsurance subsidiary company. In 1980, amid climbing tonnage and record numbers of Members, the 125th Anniversary was celebrated in style. The Chairman at the time, D.F. 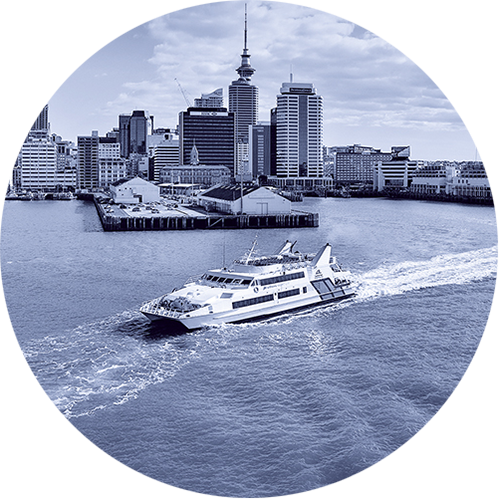 (Tony) Cartwright, writing in the Anniversary Annual Report, revealed that the Club had 1,170 Members in 68 countries, and they operated some 7,700 vessels totalling 2.4 million GRT. The premium income was almost US$9 million. Although there were some staff working almost entirely on Shipowners’ Club business, the management effort was diluted by the distractions of the West of England Ship Owners’ Mutual Insurance Association. It became increasingly apparent that if Shipowners’ was to prosper it had to have its own team dedicated to the needs of the special type of tonnage entered in the Club. In 1982 it was decided by the Board, led at that time by David Clarabut of Crescent Shipping, to sever management connections with the West of England Ship Owners’ Mutual Insurance Association and in August 1982 some 15 staff moved to separate premises in Ibex House in the Minories in the City of London to manage the Shipowners’ Club exclusively. This team was led by Christopher Pritchard-Barrett, James Dowson as the senior underwriter and number two, and Terence Watson, who had joined a year earlier, as the financial controller. These were testing times as the management team found its feet with some sceptics predicting that the Club could not survive on its own. The new office had only the bare essentials necessary for communication and the West of England Ship Owners’ Mutual Insurance Association management agreed to continue handling cargo and FD&D claims until the new team was ready to take them on. With hard work and dedication the management team had a new computer system designed and installed within the remarkably short period of six months, in time for the renewal on 20 February 1983. It was during this period that Shipowners’ began to build a reputation for financial integrity at a time when many clubs were experiencing difficulties with rising claims and high additional calls. Having inherited a deficit of US$2.5 million on premium income of US$10.3 million in 1982, the financial position of the Club was turned round so that by 1990 there was a surplus of US$11.7 million on premium income of US$22.9 million. 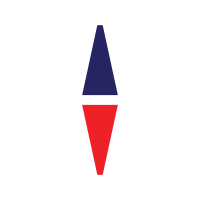 The current management company, the Shipowners’ Protection Limited was incorporated as a wholly owned subsidiary of the Luxembourg Club on 24 August 1986 and started providing management services from 20 February 1987. 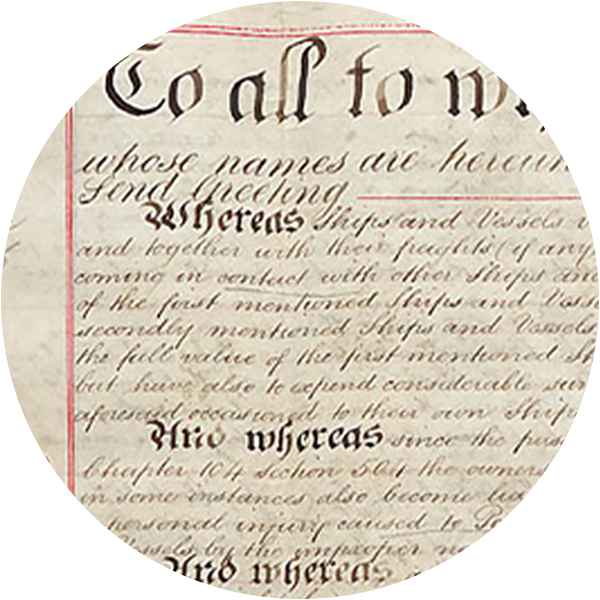 From that date the reinsurance of the Club was moved from the West of England Ship Owners’ Mutual Insurance Association to the Steamship Mutual Underwriting Association Ltd. 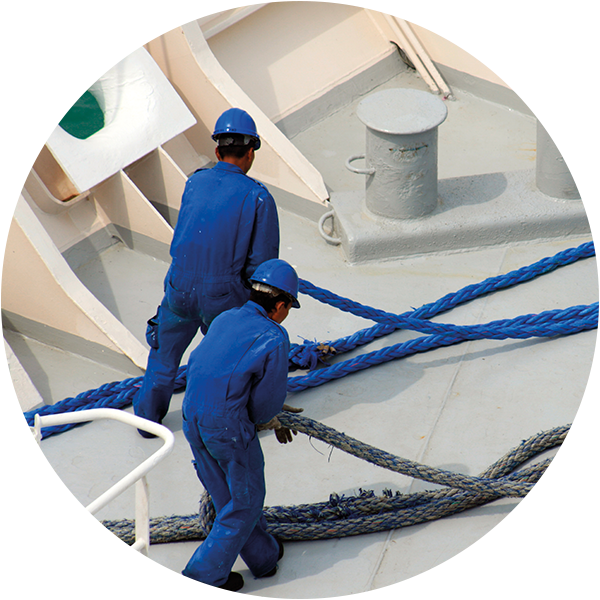 Throughout the 1980s the Shipowners’ team worked hard to develop the business. P&I was expanding at that time and with many of the other clubs having little interest in the owners of smaller vessels, the Club’s focus and enthusiasm for this type of tonnage became quickly well known. This was not only in the UK and Europe, but increasingly throughout the world, in countries such as Canada, India and South Africa, and particularly in Singapore, South East Asia and Australia. Nearly all the business came through brokers and with the new management team at all levels appreciating the importance of service, business steadily increased. Competition was mainly from local insurance companies and it was essential to offer not only a wider and more sensitive P&I product, but also one which brought no supplementary call surprises. James Dowson succeeded Christopher Pritchard-Barrett as Chief Executive in September 1993 and under his dynamic leadership, and legendary levels of energy and passion for the Club, growth continued apace. This was especially evident in Australia where James spent many months travelling and developing close relationships with brokers and shipowners from the region. Relationships that are as strong today as they have always been. 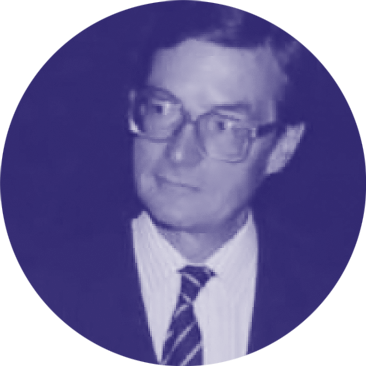 William Everard took over as Chairman in 1997 and led the Club into a new era, on 20 February 1999, when the Club terminated the reinsurance with the Steamship Mutual Underwriting Association Ltd and signed the International Group Pooling Agreement as a full member of the Pool. 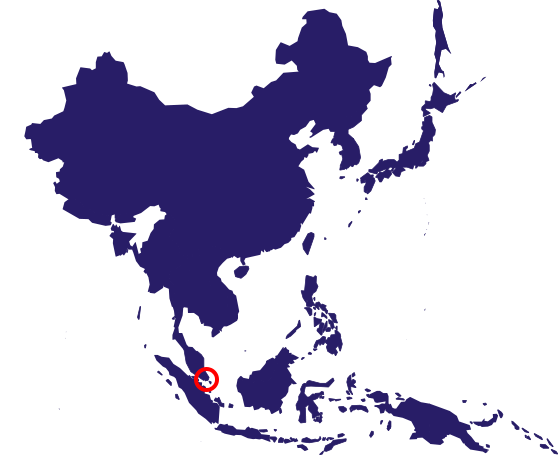 The Hong Kong branch is established to strengthen the Club’s presence in the region. Hong Kong has always been a strong maritime hub for the Club, especially with a large number of ferries, tugs and barges operating in the busy waterways. 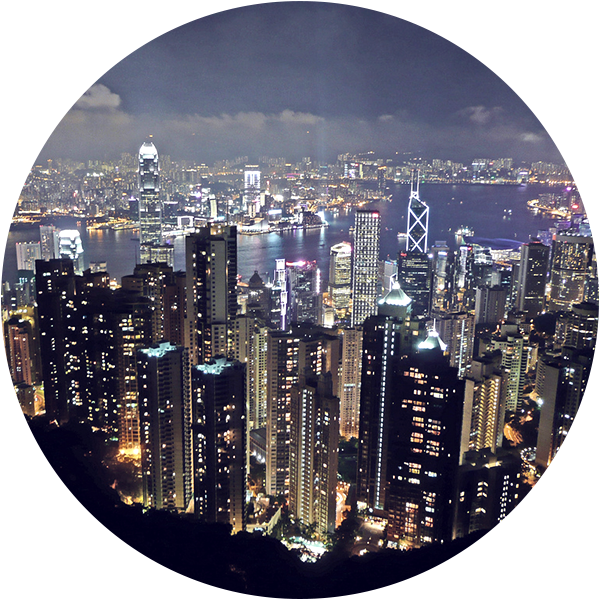 The Club developed close ties with specific operating sectors assisted by an active Hong Kong Board Director specialised in the passenger sector. The Club also forged strong links with the Hong Kong & Kowloon Motor Boat and Tug Boat Owners Association. The following year, Charles Hume takes the reins of the Club, succeeding James Dowson as Chief Executive. Charles brought with him a discipline for providing ‘more of the same, but doing it better’ driven by a desire to produce greater levels of efficiency both internally and externally. He drove the Club’s learning and competency framework, introduced greater awareness to the needs of compliance and risk management and a proactive human resource structure as the staff at the Club continued to grow with the business. The Club celebrates its 150th Anniversary. It has 7,322 Members, operating 23,082 vessels and tonnage of 10.26 million GT. It has income of over US$ 108 million and assets of US$ 237 million. 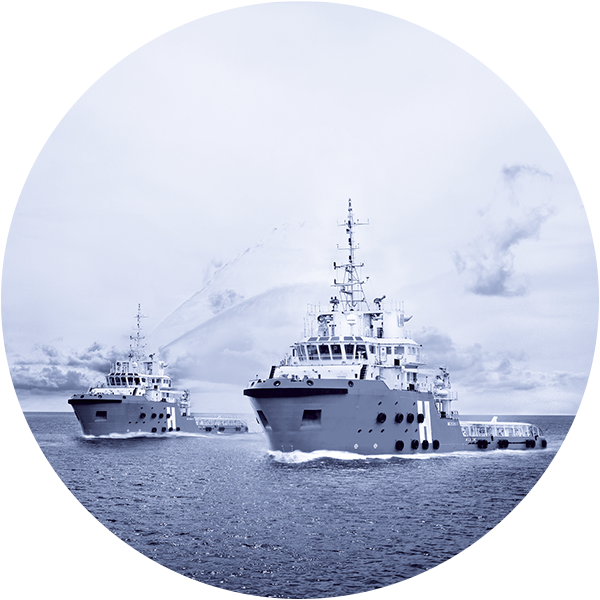 Over recent years it has established a reputation for financial stability and security within its market of smaller and more specialised vessels, which very much reflects the original focus of the founders of the Club who believed, as the current Board and managers still do, that their aim should be to provide long-term financial benefits for the Members through stability, security and service – as only a mutual can do. The Club opens its Asian office, located in Singapore, to provide customers with a global service on a local basis, allowing the Club to forge closer bonds with Members and their brokers in the region. In its 160th year, with a board of 17 directors led by Chairman Philip Orme, the Club has over 6,500 Members operating over 32,000 vessels at a total of 23,579,295 GT, delivered through a network of nearly 700 brokers. During 2015, after 23 years at the Club, Simon Swallow is appointed by the board as Chief Executive, in succession to Charles Hume who retired from the role after 11 years. In 1855 the objective was the sharing of risks, a claims-friendly approach in support of the membership, insurance at cost and, at all times, operating as a mutual insurer controlled by the Members. And those values still hold true today, albeit that we have adapted the way we work to suit the modern environment.  This year we enjoyed a 99% retention rate at renewal. As we look ahead to maintain this success, we will continue preserve and sustain our mutual values by providing the highest quality of service while continuing to evolve in response to a changing maritime environment and our Members’ needs. Tip: use keyboard arrows to navigate.